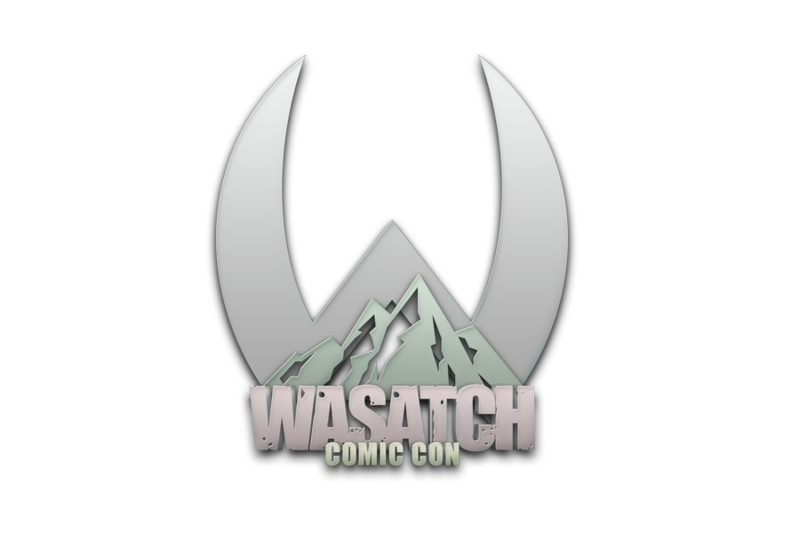 Thank you for attending Wasatch Comic Con- a con for creators! We are committed to bringing fans together with the creators of the franchises that they love, and we hope you have a great time, and find some new loves in the process. -All pre-registered wristbands that chose to be mailed should arrive within 5 days of the show. If yours does not arrive, please let us know at the ticket registration booth. -VIP passes and pre-registered badges will be picked up at the show and will enter the “pre-registered” line. If you have not yet pre-registered, we recommend you do so as that line should be shorter than the main registration line. -Programs will be given at the show for all attendees and are highly recommended to give you a smoother experience. They’re also great things to get signed by guests! -Take a moment to check out the silent auction table, as well as the exclusive product tables. There is going to be some incredible, and in some cases one of a kind, collectibles in these areas that you will not want to miss out on. -We expect many panels and workshops to fill up, so we recommend that you review the schedule and show up early for any that you do not want to miss. VIP members will be let in before the general attendees. -If a VIP shows up for a panel after general admission has begun they will be expected to enter the general traffic line. -If any VIP show up after any panel has started entrance is not guaranteed if the panel room is full. -Panel rooms will not be cleared. -Workshops are, by design, very intimate and interactive events. However, this means that they are also very limited. Each workshop is open to a very limited number of attendees and will fill up quick. Please keep this in mind when deciding your schedule. There is no VIP preference at workshops. Workshops will be cleared between each workshop. -Volunteers will be on site and will be wearing Wasatch Comic Con volunteer T-shirts. They are there to help, so please feel free to approach them if you need anything. -There will be a designated cosplay photo area. Please be respectful of general mall traffic and be alert to not block off aisles that mall patrons will want to travel down for general shopping. -Take it easy! We have a great show planned, but there is also some amazing shopping and food in the area. If crowds or lines get long, take a break, grab some food, and come back re-charged! -VIP passes give a lot of bang for your buck! In addition to getting a beautiful exclusive print by Phillip Sevy, you will save time in check in lines, get discounts on exclusive product, get free entry to our Thursday kick off party at The Union, faster and better access to panels, and it all starts at only 15 dollars! That’s less than half the price of most cons! -Please attend our final panel Saturday at 7pm, “Talk Back- Give your input on the con directly to the founders”. This helps us give you the best possible show that we can going forward.